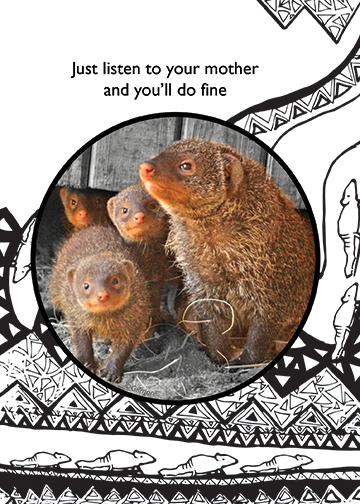 A rescued Mother Mongoose and family in South Africa. She became a surrogate mom to ten orphan babies. They will soon be relocated and released back into the wild.